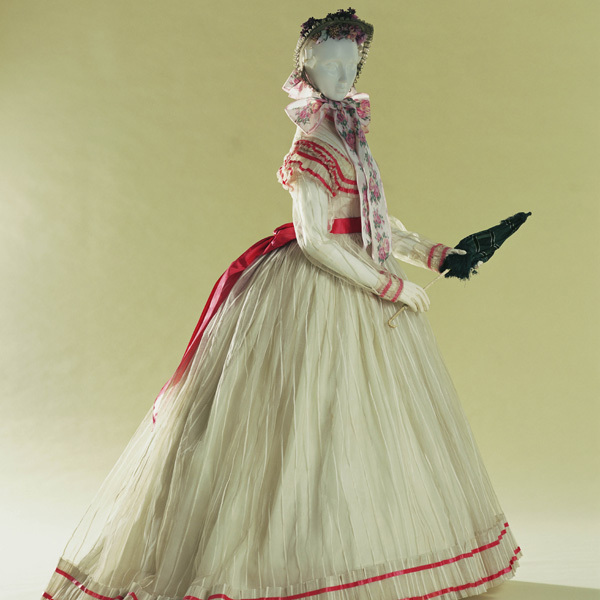 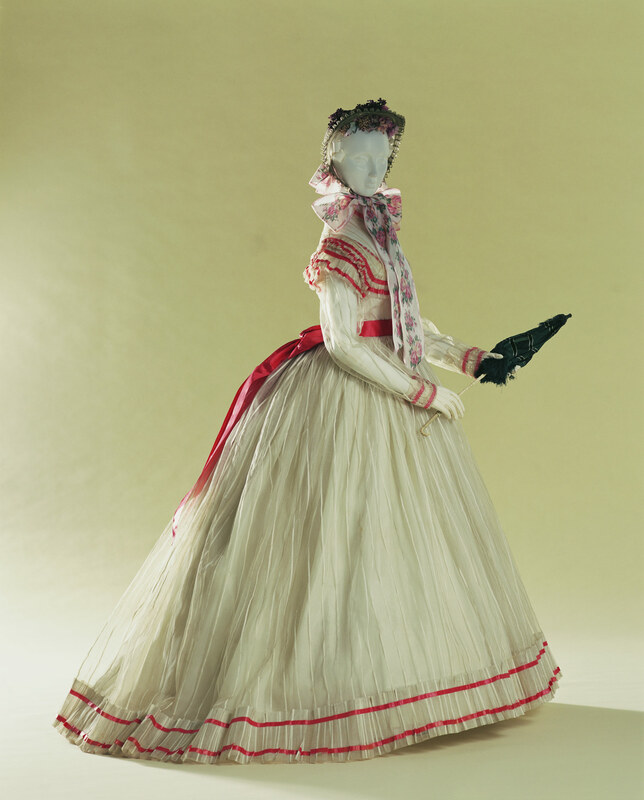 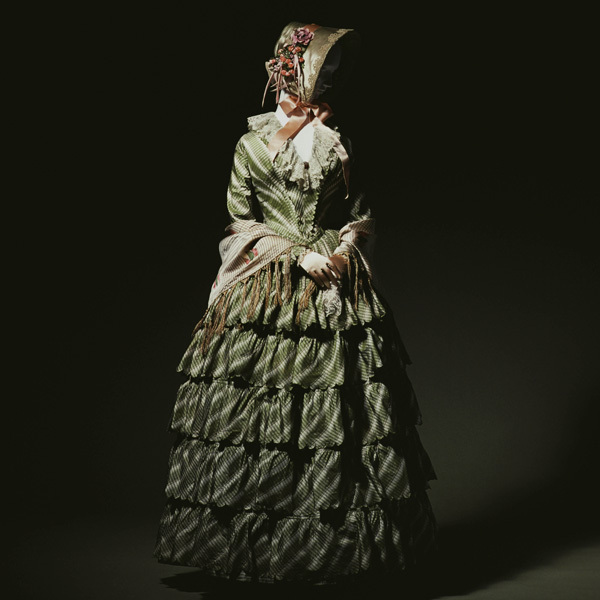 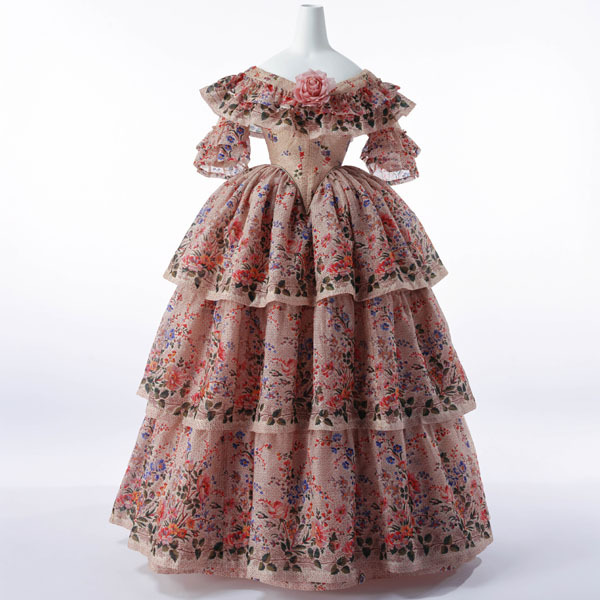 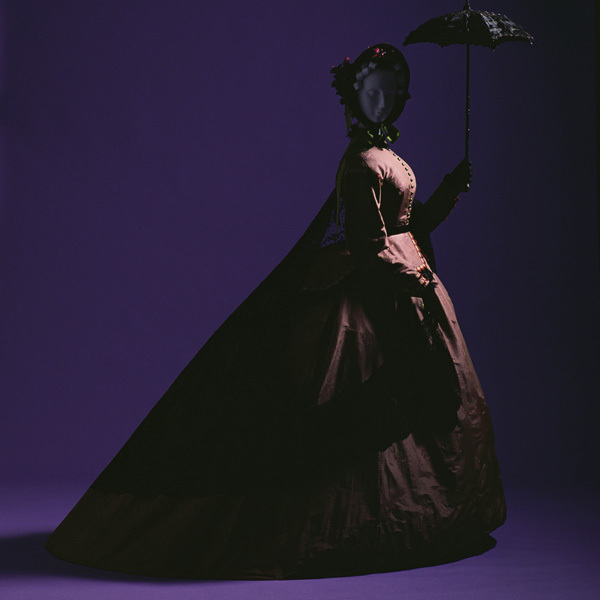 This light summer dress in the crinoline style easily evokes the type of fashion depicted by Monet in his "Women in the Garden" (1866, Musée d'Orsay). 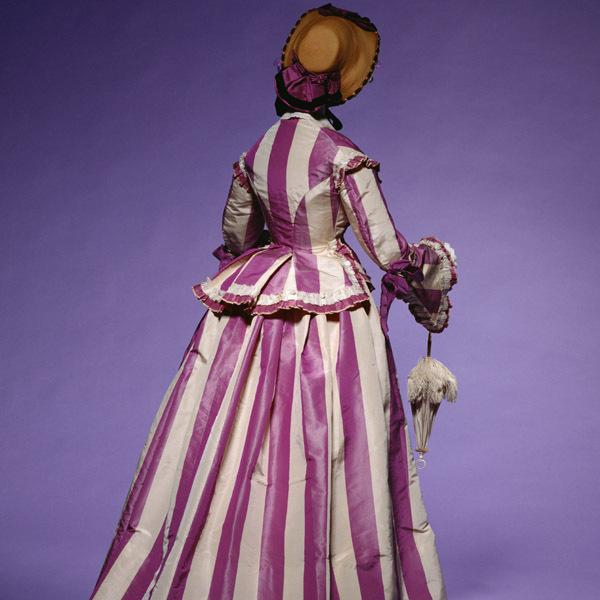 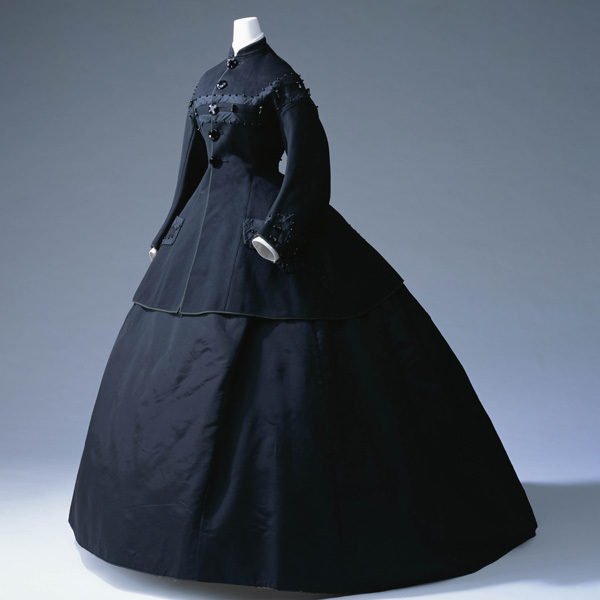 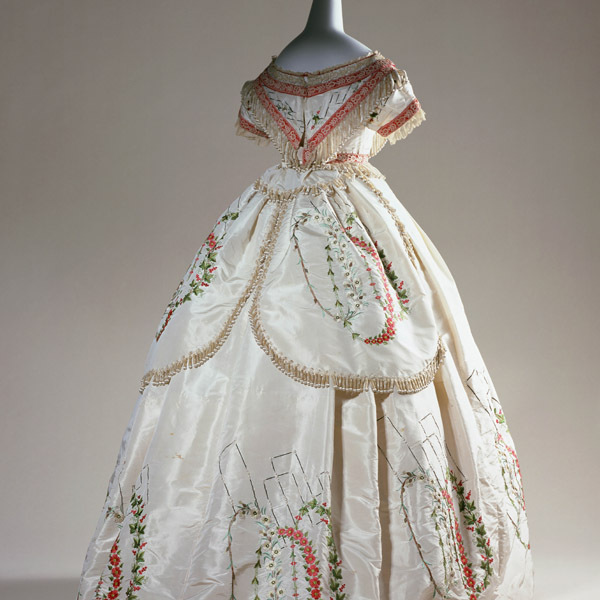 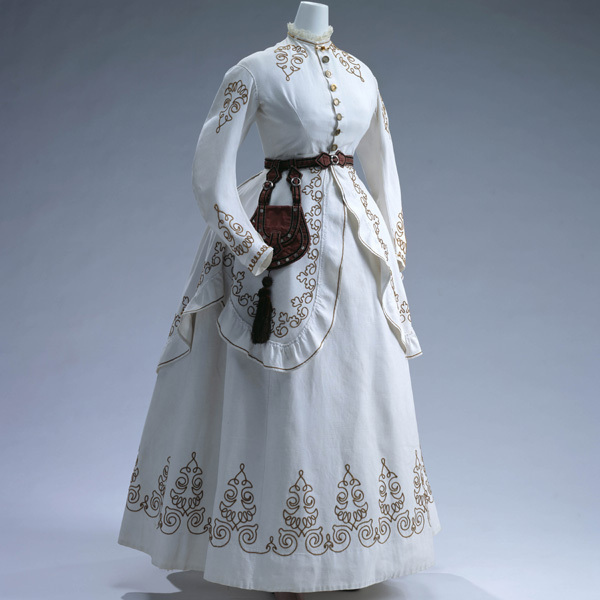 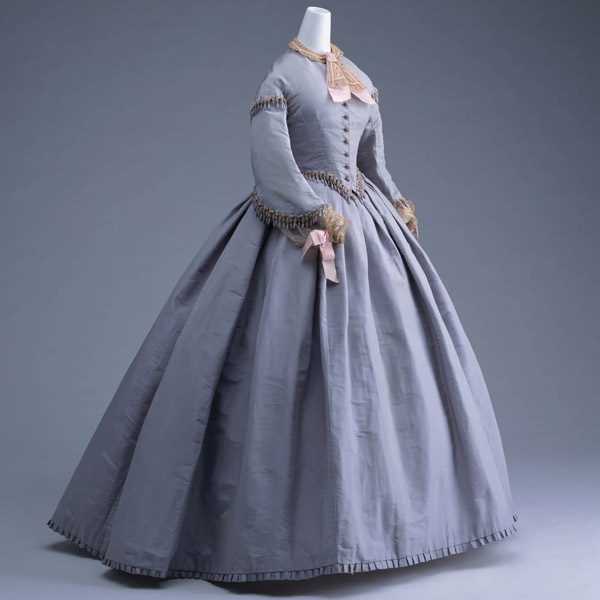 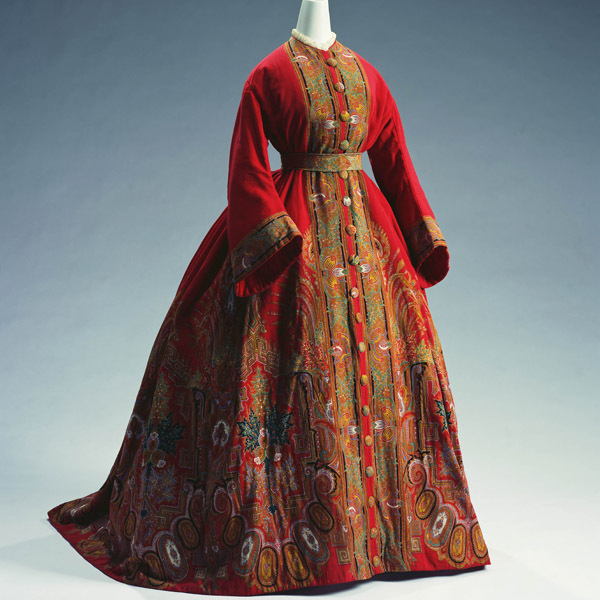 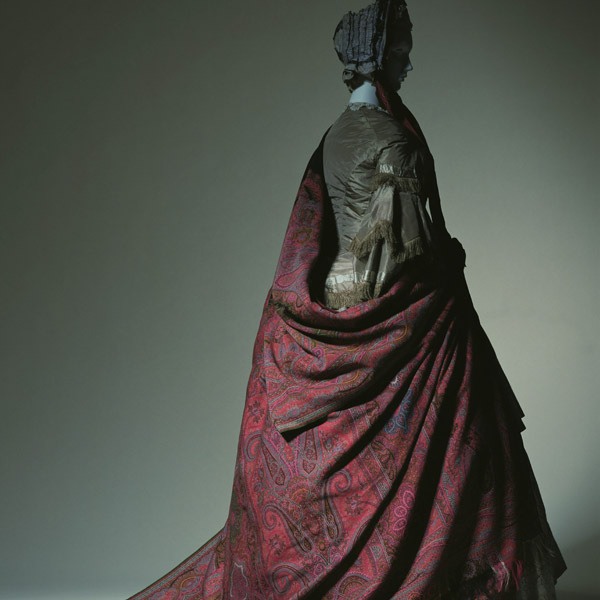 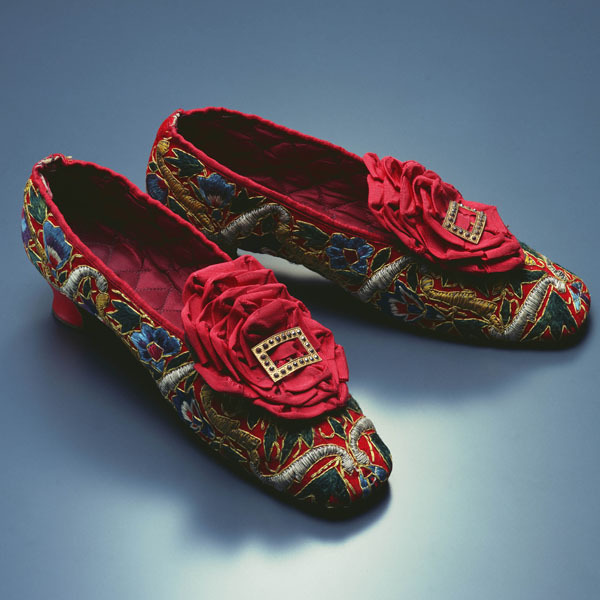 Tarlatan, the type of fabric used here, became fashionable in the 1860s. 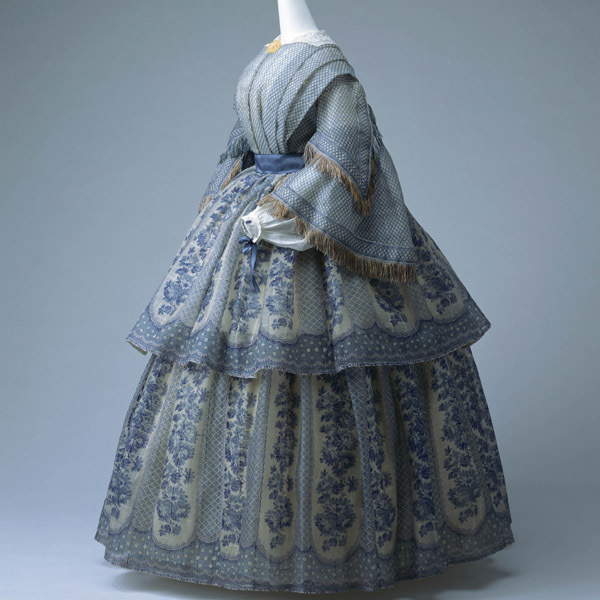 It is thin plain-weave cotton, dyed or printed and then given a starched glaze. 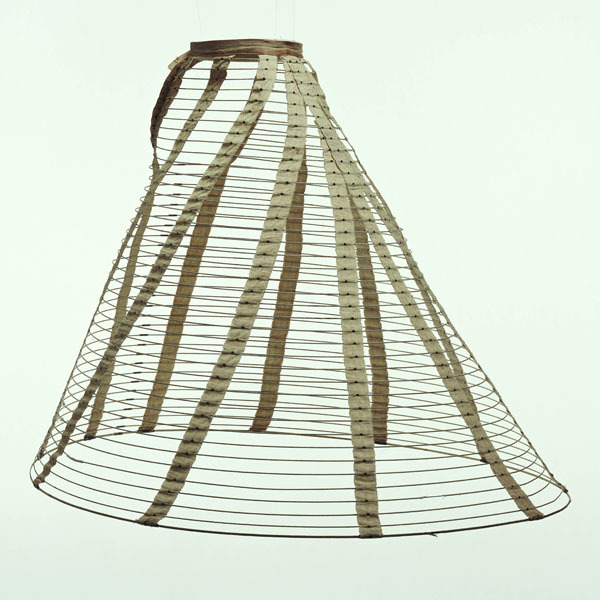 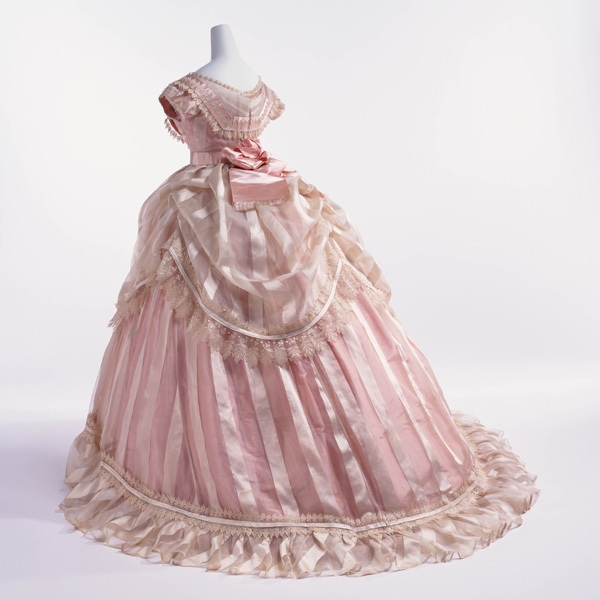 Despite its thinness, its firmness made it suitable for use with the large skirts of the crinoline style. 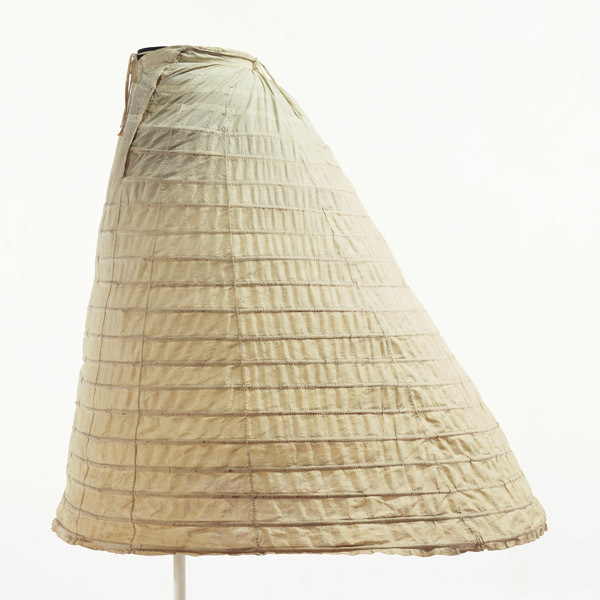 In their outdoor scenes, Impressionist painters from the same period often captured the lightness and beauty of the then popular tarlatan with its airy and partially translucent appearance in the glistening daylight.